Trust me, we know the feeling of anxiety that the summer season is so close, that you won’t be ready for your clients. kleesto is the tour booking software you need. First of all, you’re looking at the right place. kleesto is the booking software that you probably need ASAP! Our tour operator’s management system is so much more than just your online booking engine. It’s a set of tools designed for the optimal tour and travel experience management. It will not only help you organize your operations but will also provide all the tools for you to grow further. How is kleesto going to help you increase your water sports rentals? 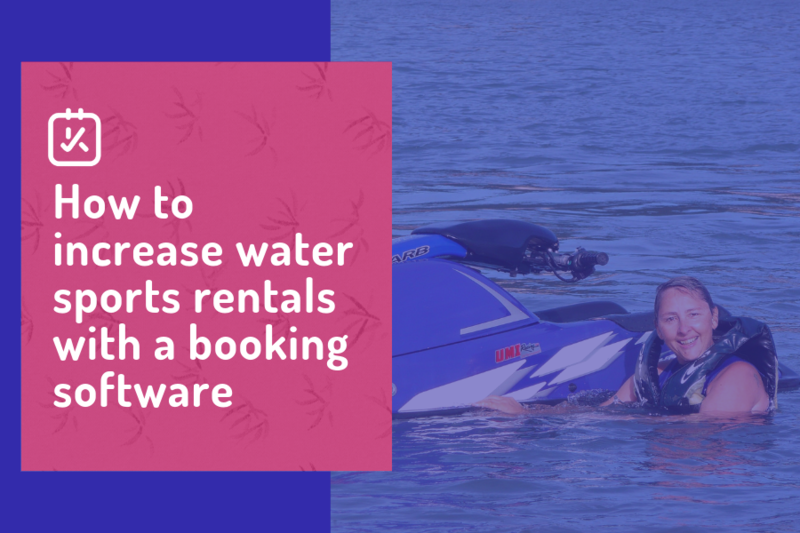 Many water sports fans will be researching what summer activities they could do in your destination, or where they can find water sports rentals. Guide these people to your website and make their planning easier. With kleesto’s online booking solution, it’s effortless to display your offers, available dates and hours, connected with the available equipment and operators. Customers love transparency, and they will definitely appreciate knowing everything about the experience they book. So, your obligation as an activity provider is only to keep your availability updated. Less time in building your website, more time enjoying the water! Bad or no website?! If you are trying to reach travelers by patiently waiting for them to come to your water sport company, you are missing 1/3 of the travelers who are using their mobile phone to book tours and activities once in destination. More and more people look for tour operator’s online presence & social media, and with kleesto, you won't have to worry about that. We can provide your water sports rentals company a complete website, suitable for your activities and enhance your company’s digital profile. You can rely on us! Wouldn’t it be awesome if a family from a small village in Spain plans to visit Paros in July and already knows about your summer activities? Well, kleesto can help you get there! And most importantly, this family can make a booking for your services and can pay in advance! In this way, you avoid the no-shows, and they know they won’t miss your tour! Win-win! Yes, I know what you're thinking! No more over-bookings! No more double-bookings! With kleesto's resource management, you will have the opportunity to assign specific resources to your water activities automatically. Managing equipment and instructors can be overwhelming, so we took care of it! Just link them to the related water sports activity and let kleesto handle notifications and availability! From now on, you can efficiently handle the highest workloads in the busy summer months... with a Mojito in hand! Are you worried about managing your offline partners? No worries! We will help you distribute your water sports rentals and water sports experiences on your website, but also sync with your current partners and collaborations. We know you can't grow alone! Through kleesto, you can create new business to business partnerships or connect new distribution channels, with only a few clicks! With a small piece of code, a booking button resulting in a booked activity of yours can be easily placed on a hotel's webpage or a travel blogger's recent blog about your destination. More water sports fans for you, more growth for your business. Having your activities out there will definitely increase your audience, but also draw some partners’ attention! Go get 'em! No more unnecessary calls and emails with partners and travel agencies when you can manage everything and get direct bookings with just a few clicks thanks to kleesto's real-time B2B booking channels. Of course, you get to have everything in order, without having to remember splitting commissions, managing deals, and different pricing plans. No more scattered papers around your office that might drive you crazy. No more missed extreme sports rentals! Stay on top of the competition. Big up your numbers! Business growth means tracking your performance and trying to understand what you’re doing (or not doing) right. kleesto makes you smarter by giving you all the statistics and the insights to help you make the right business decisions at the right time. 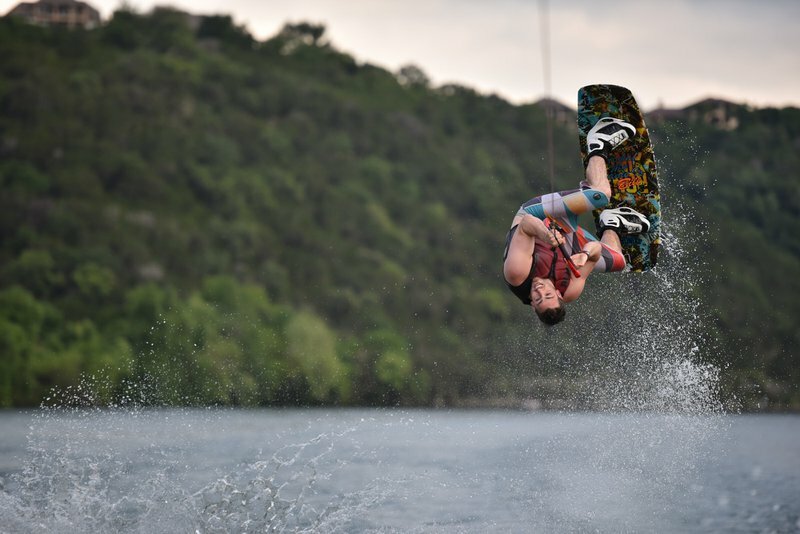 You may notice that your extreme sport rentals are not performing well or your water sports equipment is reaching a limit for the assigned activities. Don't wait for the summer season to end to analyse your performance. Overview everything in real-time! Accept direct bookings and payments on your website. Share the availability of your activities and equipment on your booking page. Connect your activity information and availability to a bigger network through partners. Have an organized space to manage your booking sources, deals (commissions, fees, etc.) and contracts. Business Intelligence: Tracking your performance will help you comprehend better your company and find your performance bottlenecks. Manage all your resources to avoid over-bookings, double bookings or cancellations. Avoid booking forms and go for a professional, personalized booking page. Nowadays, people are used to book everything online, from a training workshop to a restaurant reservation. It’s due to these changes that consumers are getting frustrated when they are trying to find something online and they don't. Marketplaces have played an important role to that but the question remains the same... Are you ready to adapt to these changes? As an activity provider, you need to keep up with the latest digital trends regardless the size of your business or the number of your customers. An online booking system, like kleesto, could guide you in the depths of the Internet! Whatever you might need, you won't be alone. You can discuss any problem or questions about your website, your pricing plans, your bookings, etc. Our team will always be available through our social media and our contact info.